A lien is a document filed with the county by a creditor, as a way to secure the money owed to them. When a creditor files a lien against your property, you are limited as to what you can do with it. A lien on your property can hinder you from getting a Home Equity Line of Credit, a new mortgage, and can affect the amount of money you receive at closing if you decide to sell your property. There are different kinds of liens, although the most common are mechanics’ liens, tax liens, and judgement liens. A mechanic’s lien can be filed against your property when you have not paid for work that has been done to your home (a contractor, plumber, electrician etc. can file these against your home). A tax lien is put in place by the government when you have unpaid federal, county, or state taxes. 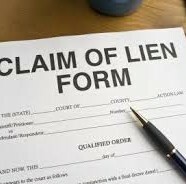 A judgement lien can be filed against your home by the winning party of a lawsuit, to secure the money owed to them. Having a lien filed against your property is not the end of the world, although it can cause unnecessary stress. A lien can be satisfied either by paying the money owed to the appropriate party prior to selling the home, or can be paid at closing with the money received from the sale. It is in your best interest to remove the lien as quickly as possible, either by paying the money due at once, or by setting up a payment plan with the creditor. If you do not have the money to pay a lien up front, be sure to speak with the creditor about setting up a payment plan. Depending on the creditor, they may agree to remove the lien once a payment plan is set up. If you disagree with the charges the lien is filed under, you may want to speak with an attorney to file a lawsuit. As it goes for anything, to best way to avoid having a lien filed on your property, it is best to pay your taxes and bills when they are due.